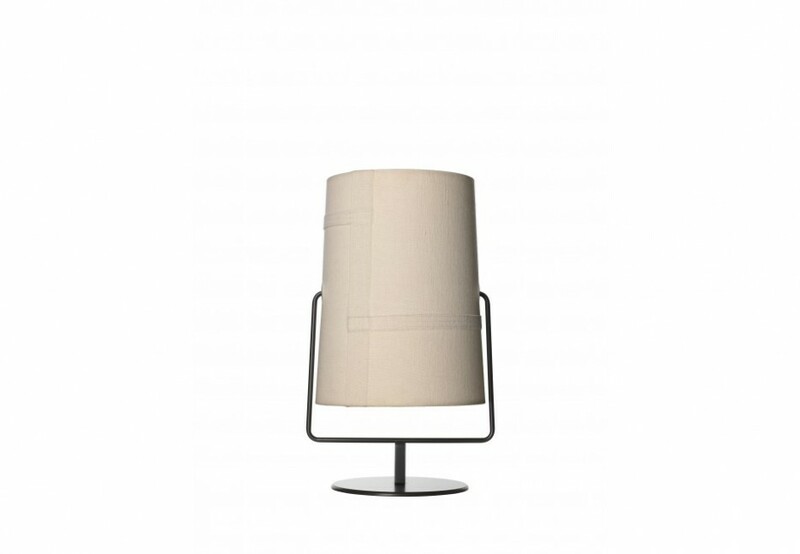 The Fork lampshade is a steel fork with a diffuser inspired by casual fashion and an informal, playful lifestyle. The light inside the diffuser illuminates its patchwork structure, the texture of the canvas and its jeans-style visible stitching creating an effect which is rather like switching on a light inside a tent. Nothing in Fork is left to chance. Its rings are not merely decorative but respond to practical needs with simplicity and immediacy. 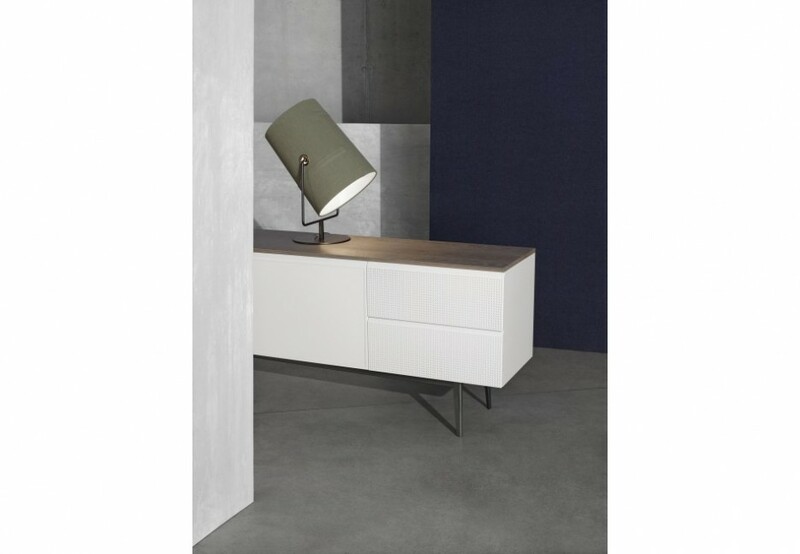 Its ivory or grey diffuser – made of linen treated with a special process that gives it a vintage appearance – can be combined with an ivory or brown metal mount for a total of four different colour combinations. Versatile and extremely flexible, its adjustment range is 360°. The structure joints in the floor and table versions also make it highly flexible. This means you can change the direction of the light as you please and have fun with the lamp, playing around with its infinite range of combinations. The Mini and Maxi Fork table lamps have, on the other hand, a short fixed stem with an adjustable diffuser. All of Fork’s dynamism is there in the suspension versions, which are available in two sizes, and in the wall version too. Fork XL suspension has instead a fixed diffuser with a large diameter. Its satin-effect polymethylmethacrylate screen filters a diffused, anti-glare light downwards.